The rising full moon amid fluffy clouds in an otherwise clear night sky was an auspicious sign as we began planning our fall and winter camping season. This occurred last Monday night as we celebrated the Chinese Moon Festival. 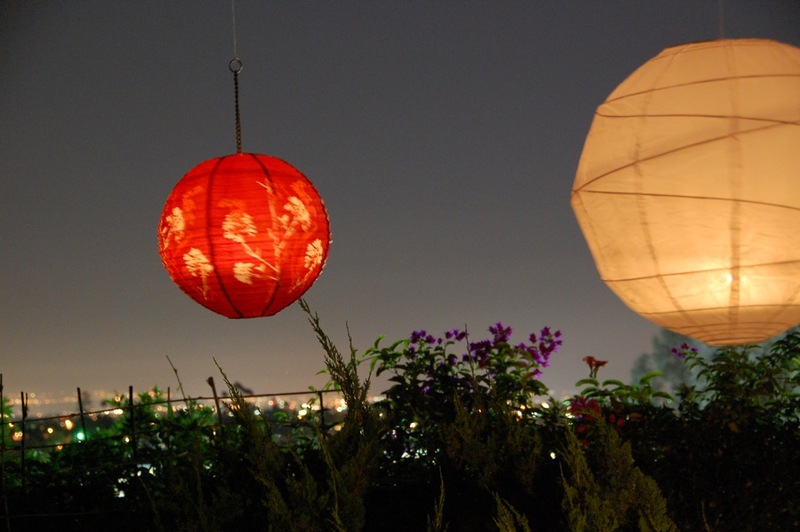 According to Wikipedia, this festival is also known as the Mid-Autumn Festival and is a popular lunar harvest festival celebrated especially by Chinese and Vietnamese people on the 15th day of the eighth month in the Chinese calendar, always coinciding with a full moon. 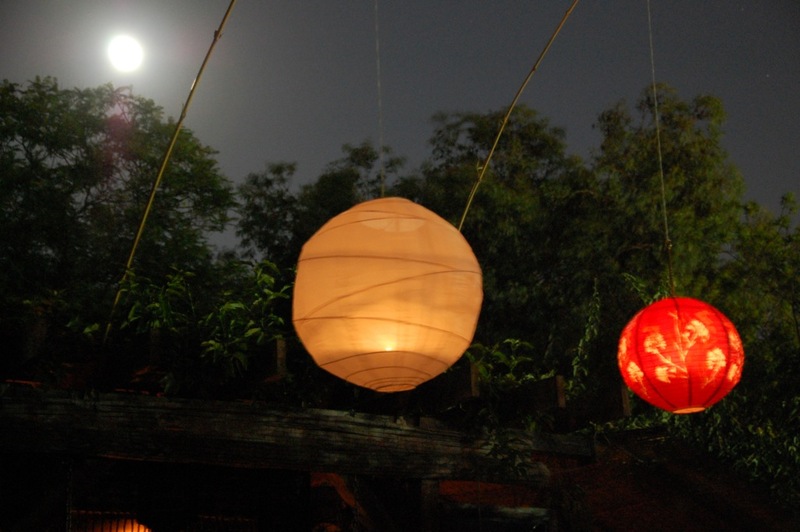 This is a time when family and friends gather together outside under the full moon and share in festivities such as eating mooncakes, sipping wine, and hanging brightly lit lanterns. 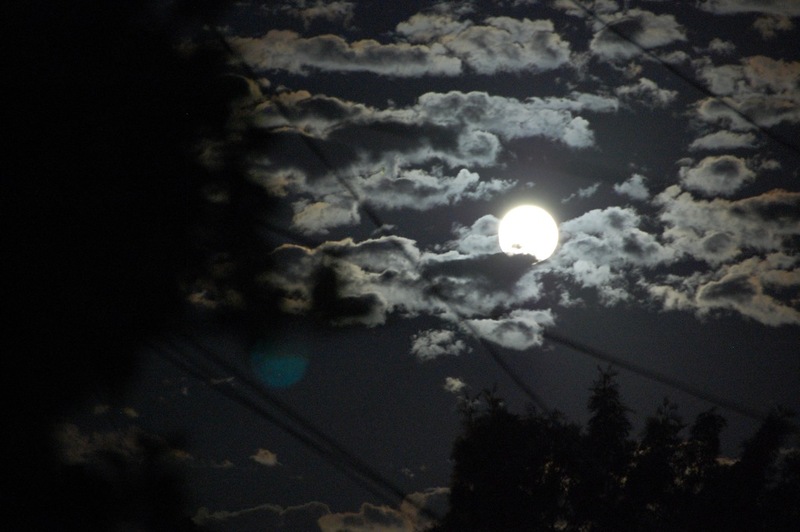 Loved ones who can not be together on this night can still feel connected by looking up at the moon at the same time. 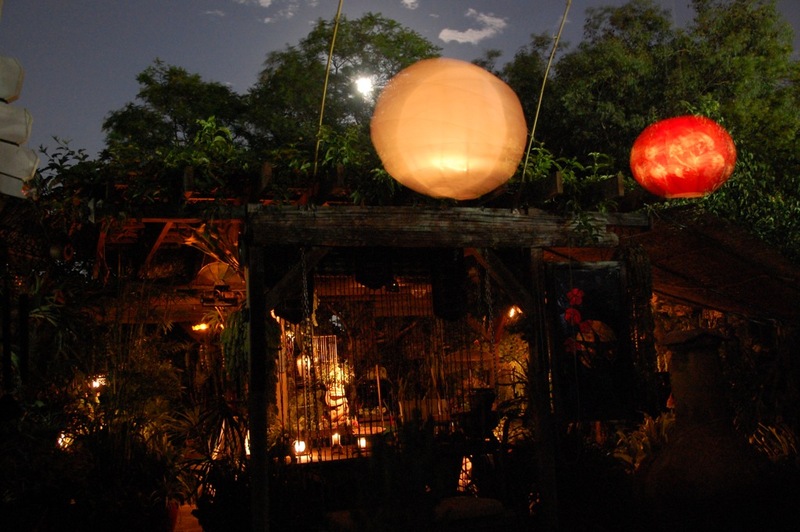 As is customary in Hong Kong, Larry suspended Chinese lanterns on bamboo poles from a high point, in this case, from the top of our pergola. 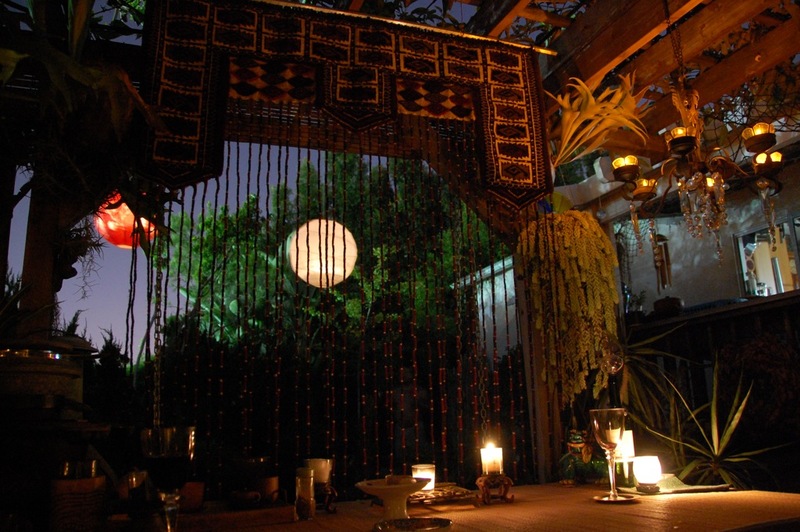 We feasted on Larry’s homemade pizza under the pergola and watched the festive lanterns dance in the cool night breeze as lights twinkled in Mexico and throughout the South Bay. As mentioned in Wikipedia, this festival is strongly associated with the legend of Houyi, the Archer, and Chang’e, the Moon Goddess of Immortality. This is illustrated in YouTube’s “Legend of Moon Festival“. Much of the symbolism of this festival revolves around the shape of the full round moon, emphasizing unity, wholeness, completeness, togetherness, well-being and prosperity. It is said that catching the reflection of the moon in one’s teacup, glass of wine, or bowl of water is a perfect moment. More ways of celebrating the harvest moon are described by Eleanor here. 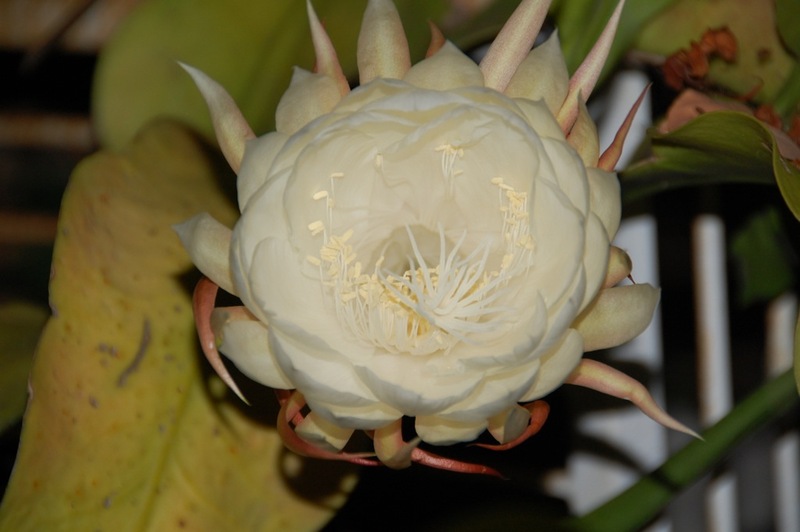 Another perfect moment occurred on this auspicious night with the blooming of our Nightblooming Cereus, Queen of the Night. This festival is also called the Mooncake Festival because mooncakes are often prepared in the shape of the moon and are usually made from lotus seed paste and may contain yolks from salted duck eggs. 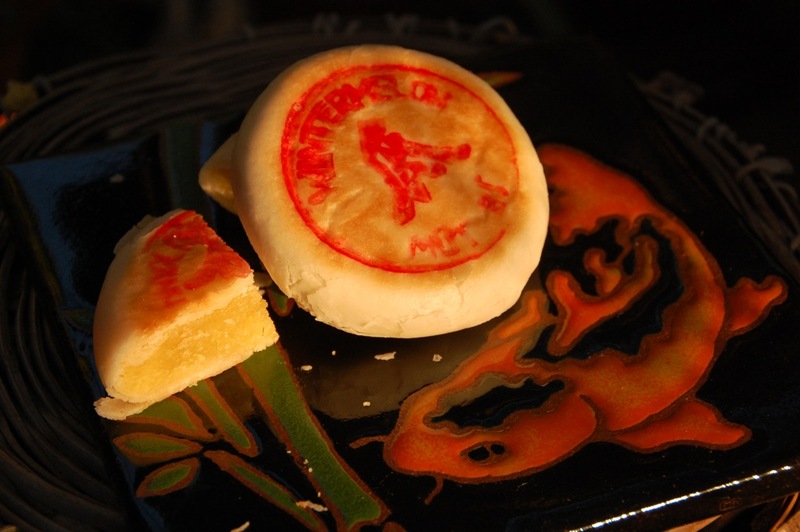 We celebrated with two types of Chinese bean paste pastries, winter melon and mung bean. We continued to share this special night by my ongoing daily bedtime readings out loud of Harry Potter, currently Book 3, Harry Potter and the Prisoner of Azkaban.